Are you scared that mice will invade your house? Do you want an effective natural mouse repellent? For your information, killing them does not solve your mice problem in the house. The key often overlooked regarding facing rodents is how to prevent them from coming through that door. Keep reading to find out how. 1. How do you know if there are mice at home? Food remains scattered around the house—especially in hidden spaces like inside shoes or in the corners of cupboards. Nibbled holes on a pile of papers, in stored foods. 2. How do a mouse and a rat differ? Compared to rats, mice are way smaller. Adult mice are usually 19.05cm in length and 30gr in weight while most rats range from 35.56 to 40.64cm with an average range of 200-800 grams in weight. In appearance, the rat is widely known as a moderate-sized rodent with a long thin tail. Meanwhile, a mouse is generally known as a tiny rodent with the same size as a sparrow and a long thin tail. 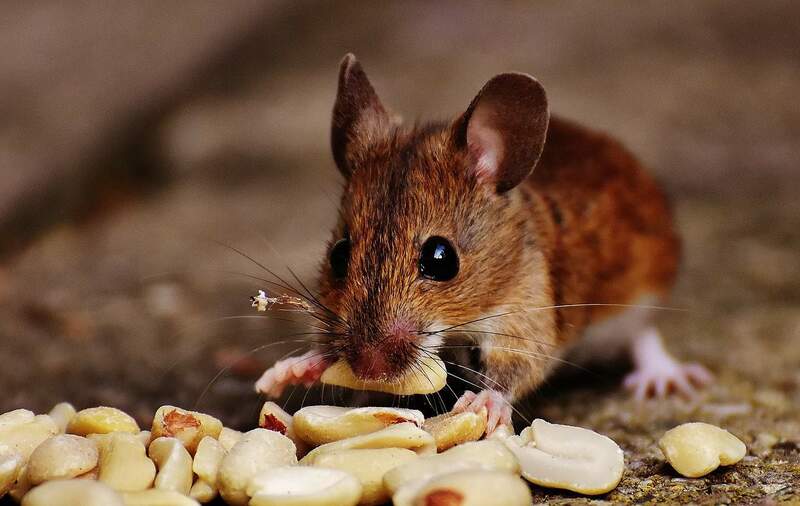 Unless feeding on plants and grains, a mouse usually eats anything given to them. They also love bagged dried food like snacks and pet foods. A mouse in the wild will usually survive for only a year on average but can live more than three years in a house. That explains why they have always tried to invade your house! 3. How long do mice breed? A female mouse can deliver more or less 60 babies which then deliver more babies after they reach only six weeks old. Therefore, do not wonder why they appear in a massive population in only several months. Mice love breeding. 4. How do mice get in your house? Mice are great at running along ropes and wires and can jump as high as 33cm high. They are also experts in swimming and climbing. Not to mention that they also have great skills in breaking into your house. A mouse can easily get through small openings in your house, like cracks and gaps on the walls or ceilings. If it cannot fit in a hole, it will usually nibble/gnaw the hole until it pushes through and gets in. 5. How to get rid of mice naturally? What repels mice? Moreover, why not kill them? First, killing is inhumane (we will always try not to kill if we are not forced to). Secondly, repelling mice usually means using natural mouse deterrent. Plus, natural method is certainly safer than the chemical one—especially if you have kids and pets around. So, what is the best natural mouse repellent? Keep reading. Most cartoons on TV might tell you how mice are big fans of cheese and other fine foods served on a neat dining table or a shiny-cleaned kitchen island. However, we apologize to ruin that wonderful imagination; mice prefer to drown in scattered food scraps, filthy, humid spaces in your house for being taken over by old papers and clothes and for not being cleaned for years. What you need to do is regularly clean the house to each of its corners and take the trash out every day. Believe it or not, those good habits will be a great natural mouse repellent that keeps the mice away from your home. We are not talking about getting you and your family on a tight diet, no, but the lesser food can be found by those sneaky little creatures, the better. Fresh fruits, vegetables, and dried foods—like cereals and seed—are better sealed tightly in special containers to keep mice away from them. Do not forget to sweep away or vacuum all the food remains scattered around the kitchen and dining room—especially under your refrigerator and behind your oven as well as a microwave. This way is also how to get rid of mice naturally. The smell of this one of natural remedies for mice control is effective to keep the rodents away. All you need to do is soak some cotton balls in the peppermint oil in leaving them in spots that mice have invaded. Cloves, mint, and cayenne are also ingredients that can repel mice naturally. We know you may not like this natural mouse repellent, but urine smells like predators to mice. Pour some urine into small plastic cups or caps of plastic bottles and put them anywhere around the house in which mice are attracted to get through, like the pantry or under the washing basin. Make sure you have kept the repellents out of reach of kids and pets. Instead of classic mouse traps that will instantly kill the rodents, you can make your homemade mouse repellents or traps. All you need to do is make a box from cardboard and put some bait in it. Once the mouse is in, you will have to set it free at least a mile away from home—or about 1600 meters. Unless you release the mouse as soon as possible, your trap will also be a deadly one, as mice will usually be dead when left in a box-trap more than a couple of days. For the bait, as mentioned above, cheese is not the best bait in mouse traps. Try something as creamy and sharply-scented as peanut butter, cream cheese, or shrimp paste. Otherwise, you may want something dry and crunchy as seeds, nuts, pet foods, or cured/dried fish. Well, you are now ready for the battle to dismiss mouse invasion at home with some of the best natural mouse repellents ever. If you think these all still do not work, you can always call professional exterminators for humane, effective control of the pest population in your home.